Inside the cab, the rocking grate levers are in place and linked up, and the damper door mechanism and controls are in position. 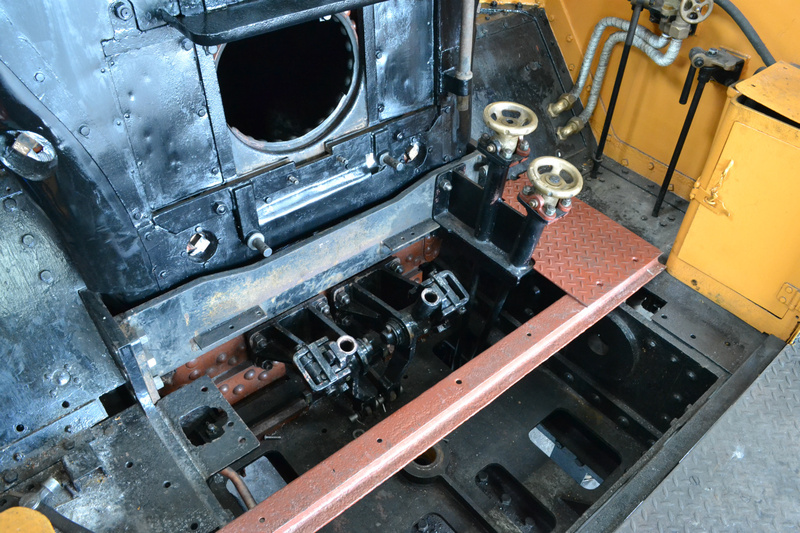 The first parts of the cab floor are being fitted. 14 June, 2015. P GIBBS.